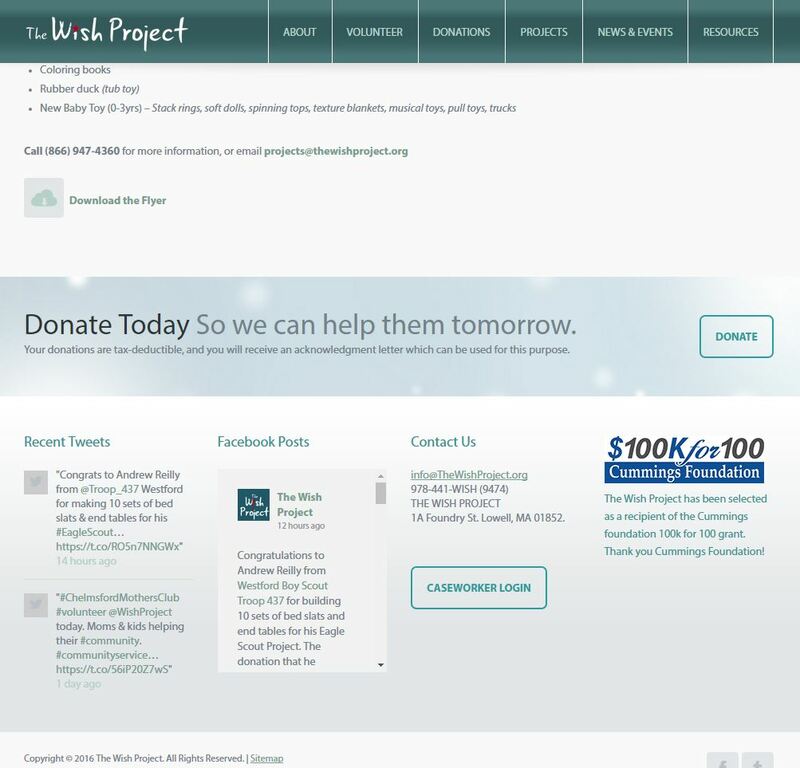 The Wish Project is an amazing local charity based in Lowell, Massachusetts who came to me looking for a self-serviceable, responsive website. 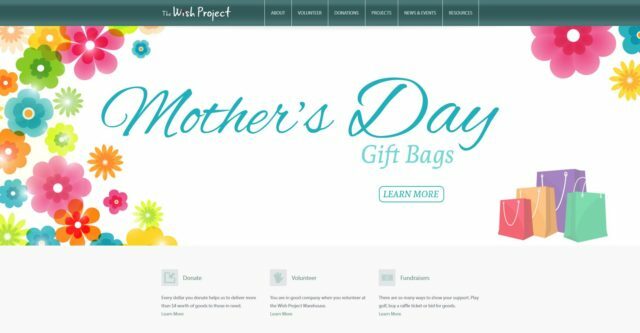 I was thrilled to find out that they were running the site on the WordPress content management system because I know it’s perfect for client self serviceability. 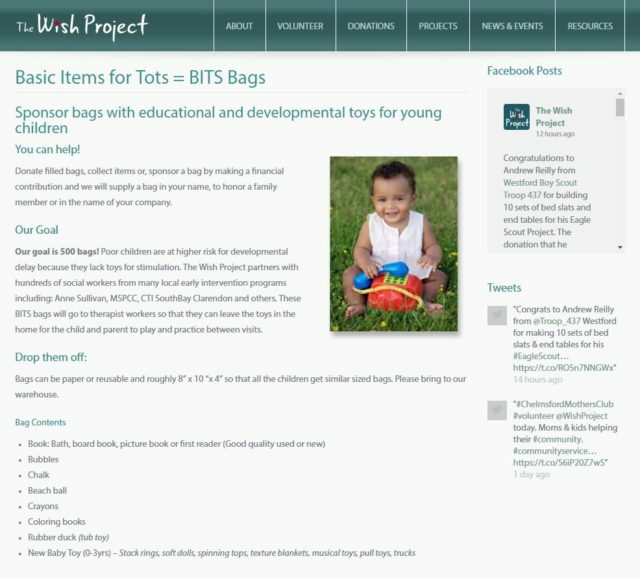 In the end I was able to give them a great looking site, with a nice big full screen home slider, calls to action, plenty of widgetized areas, and many different ways to display their abundance of content.